Transportation: The area has great transit accessibility, which is what Stef, a student at AU and area resident of two years, likes best about the neighborhood. There’s the Tenleytown Metro station on the red line and the 31/32/36/37, H3/H4, N2/N8, and M4 bus lines. There are several Zipcars in the area, a Capital Bikeshare station at the Metro, and it’s really easy to walk in Tenleytown. And even though American University is a bit removed from the Metro station, it’s easy enough to get there either by walking (about a mile) or taking the AU Shuttle. Two community institutions you’ve gotta try: Osman and Joe’s Steak ‘n Egg is a greasy spoon diner that’s best experienced in the wee hours of the morning, and Wagshal’s Market and Deli over in Spring Valley is a can’t miss deli with fantastic sandwiches. 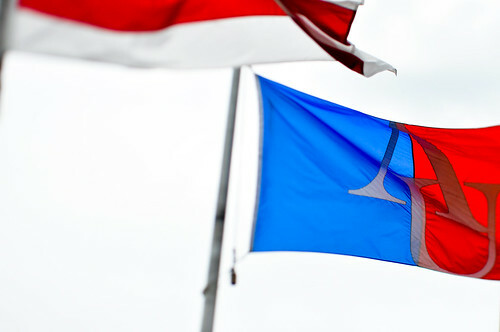 Even if you’re not a student, American University has a lot to offer. There are lectures, concerts, public events, and festivals that are open to the community. Keep an eye on their Events & Calendars page for upcoming events. There are some great shopping opportunities in the area. There’s the Best Buy, the Container Store, the Whole Foods, and a great local hardware store. Take advantage of the proximity to some great recreational facilities in the area! Go for a run in Rock Creek Park, play in the park at Fort Reno, or go for a swim at the Wilson Aquatic Center (which happens to be the best pool in the city). 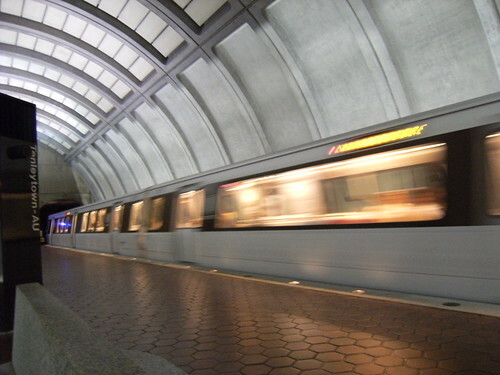 What’s Nearby: Tenleytown is south of Chevy Chase, northwest of Cleveland Park, and north of Glover Park. Why We Love Tenleytown/AU Park: It’s the best of both worlds. Thomas, an AU student and Tenleytown resident of a year, says, “It’s a very nice, quiet residential area but it’s also located right next to all these vibrant, cultural places in DC.” It’s home to a major university, but it’s not overrun with tourists. 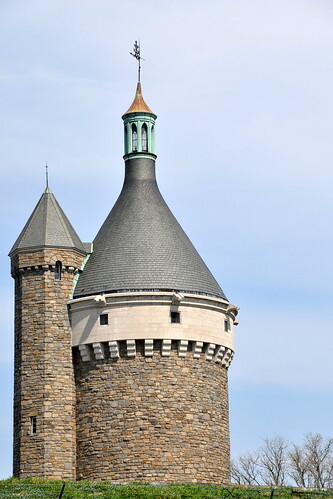 Catherine loves that: “Tenleytown/AU Park doesn’t have a big history, or monuments, or big shopping, to draw in the crowds. 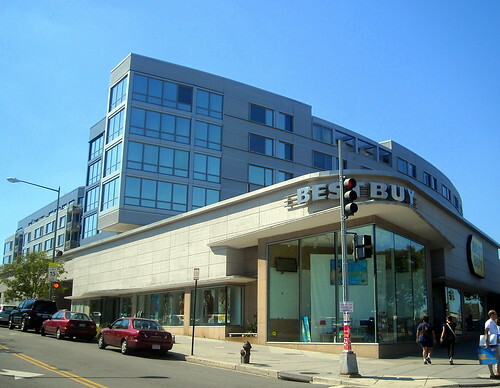 The people you run into in Tenleytown/AU Park are largely people who live there.” A quiet neighborhood with great transit access, beautiful homes, access to a major university, and a thriving commercial strip– what’s not to love? - zero sense of community or place, unless you count whiny spinsters who complain about the whiny AU students peeing on their lawns. I spent a year in that boring, awful neighborhood and I’ll never set foot there again. Great job as usual Shannon. NPR is there? WAMU studios? What’s the connection? Does Diane Rehm broadcast from there? Diane Rehm does broadcast from there as well as Kojo Namdi. Groundskeeper sounds like one of the spoiled obnoxious brats he’s railing against. I’ve lived in Tenleytown for five years and it’s a great neighborhood. Friendly people, beautiful homes in leafy areas and easy access to Metro. You want something less boring, Groundskeeper? Move to Trinidad. The gunshots are thrilling.